Riots in the streets of Colonial Boston, Samuel Adams (the historical figure, not the beer), British soldiers (also known as Redcoats, also known as Lobsterbacks), smallpox epidemics, the Boston Massacre: the 1760s in pre-Revolutionary America were, to say the least, an eventful time. And that is just one of reasons I chose to set my latest series in that period and place. Tor Books has recently released the third novel in my Thieftaker Chronicles, a historical urban fantasy set in Boston in the years leading up to the American Revolution. 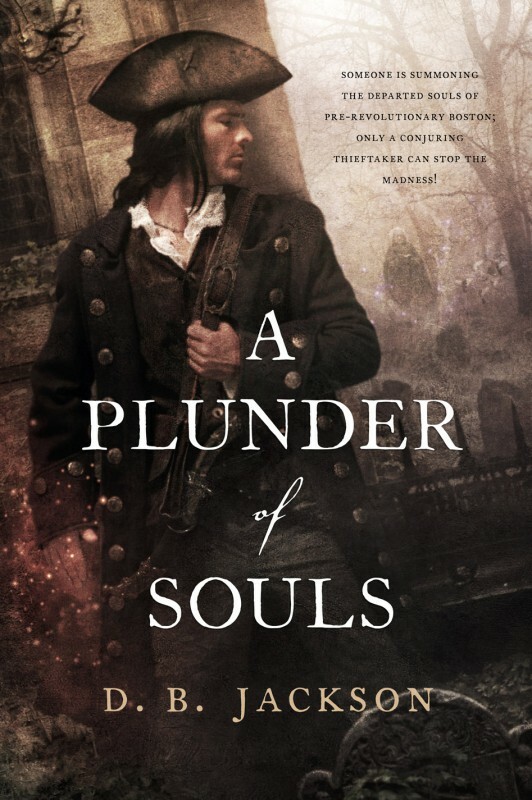 This newest book, A Plunder of Souls, follows Thieftaker (Tor Books, 2012) and Thieves’ Quarry (Tor Books, 2013). There will be at least one more book in the series: Dead Man’s Reach is due out next summer. But I’m hopeful that the Thieftaker Chronicles will continue beyond that fourth volume, because I have been having a blast writing these books. I have a Ph.D. in U.S. History which, I know, marks me as a pretty serious geek — as if writing fantasy novels for a living wasn’t geeky enough. The Thieftaker books, though, are geek paradise. I get to combine my love of history and research with my passion for creating magic systems and cool characters. Moreover, the truth is that these books have been a geekfest from their inception, and of course I mean that in a good way. 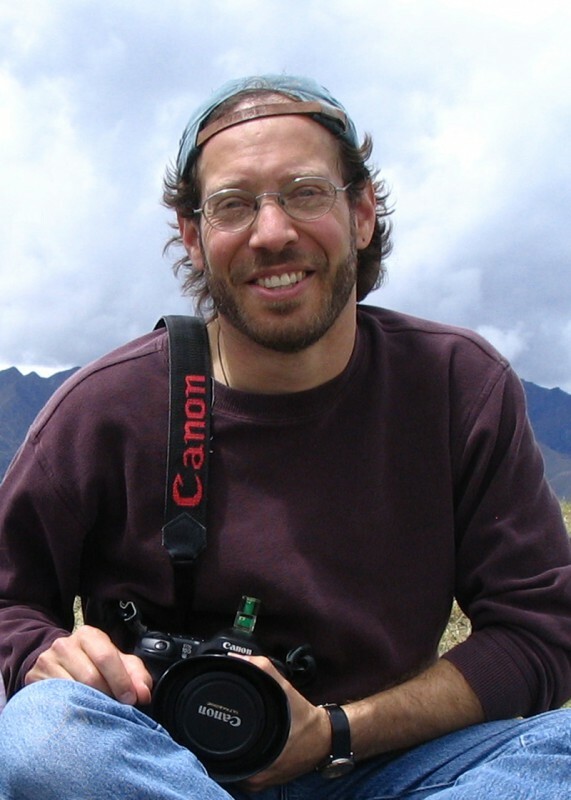 I first got the idea to write the Thieftaker books back in 2005. My wife and I were preparing to spend a year in Australia for her Sabbatical, and I was reading Robert Hughes’s history of Australia, The Fatal Shore. In the second chapter, Hughes has a footnote (Yes, I read footnotes. I already told you I was a geek; get over it.) about thieftakers in London. Thieftakers were sort of a blend between bounty hunters and private detectives: they operated in the absence of an established professional police force, retrieving stolen goods for a fee. In particular this footnote described the career of Jonathan Wild, London’s most famous thieftaker. Wild built a criminal empire for himself by hiring men to steal goods, selling the best of his ill-gotten items, and returning the rest to their rightful owners for that finder’s fee. Not only did he get rich, he also convinced the leading citizens of London that he was a genius because he could “solve” any crime, in large part because he was responsible for almost all of the crimes he solved. Immediately upon reading of Wild’s exploits, I knew that I wanted to write a series about thieftakers, with a Wild-like character serving as the nemesis for my hero, who would be an honest thieftaker. That hero became Ethan Kaille, a conjurer and thieftaker living in Boston, who has been a sailor in the British navy, a convicted mutineer and a prisoner laboring on a sugar plantation in Barbados. The Wild character is Sephira Pryce, a brilliant, cunning, cruel, beautiful woman who foils Ethan’s investigations at every opportunity. I then needed to find a proper setting for Ethan and Sephira, who I believe are the most compelling, most entertaining characters I’ve ever created for any series. At one point I considered writing the Thieftaker books as an alternate world fantasy. My editor suggested that I use a historical setting instead, and he was absolutely right; that was a far better choice. He suggested London, but I don’t know London very well, and it seems to me that London is used plenty by other writers in the field. On the other hand, it occurred to me that Colonial America had been vastly underutilized in speculative fiction. And once that thought came to me, Boston seemed an easy choice. It turns out that Boston was a relatively lawless city in the 1760s. The city had a sheriff — the formidable Stephen Greenleaf. But he had no officers under his command, aside from Boston’s night watch, whose watchmen were as likely as not to be corrupt, or incompetent, or both. So, while historically speaking there were no thieftakers in eighteenth century Boston, conditions were ripe for them. It is certainly believable that there could have been thieftakers there, and this being fiction, and fantasy at that, “could have been” was more than good enough. Add to that the fact that Boston was the epicenter of political unrest in the North American colonies during the years leading up to the revolt against British rule, and I knew that my characters would be right at home in such a setting. Each book in the Thieftaker Chronicles is set against the backdrop of some historical event in the pre-Revolutionary era. The first book, Thieftaker, begins on the night of the Stamp Act riots on August 26, 1765, when a crowd rampaged through the streets of Boston, destroying the homes of several representatives of the Crown, including the lieutenant governor, Thomas Hutchinson. I simply inserted a fictional murder into the events of that fateful night, so that Ethan’s inquiry into the murder would inevitably be caught up in the political intrigue of the time. In September 1768, as Thieves’ Quarry begins, the British military is poised to commence its occupation of Boston. British naval vessels carrying a total of more than a thousand soldiers (with another thousand on the way, to pacify a town of 15,000), are anchored in Boston Harbor. And so I took the liberty of adding a ship to the fleet and then killing every man aboard the vessel with a powerful magical spell of unknown origin. Once more, Ethan is called upon to find the responsible party, and once more he is drawn into political conflicts, as well as his usual violent rivalry with Sephira and her retinue of toughs. Most recently, I have set A Plunder of Souls in the summer of 1769, as what turned out to be a relatively small epidemic of smallpox sweeps through the city. This time, Ethan is called upon to investigate a series of grave robberies and the unexplained appearance of ghosts in the homes of some of Boston’s finest citizens. With the occupation still underway, and tensions in the city rising, political conflicts creep into this narrative as well. In other words, having set the Thieftaker novels in Boston during this tumultuous period, I have been able to allow history to guide my narratives. The fourth book will coincide with the Boston Massacre, which took place in March 1770. If I wind up writing additional volumes, I’ll have no problem finding more historical events with which to blend my stand-alone mysteries. To be honest, I didn’t know quite how well this formula would work when I first conceived of the series. The symbiotic relationship between my plots and characters on the one hand, and actual historical events and personalities on the other has proved to be a far more dynamic combination than I ever imagined. Writing the books, as I’ve said, is tremendously fun, and my readers seem to be enjoying them as well.